Our hand-made custom framing is created by a master woodworker and former submarine sailor, Tom Samuelsen, using American hardwoods such as maple and walnut. 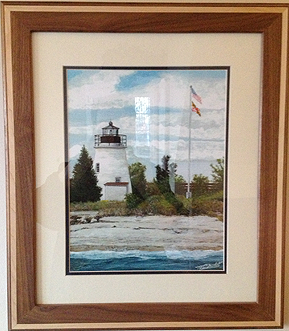 Custom framing and matting is all hand crafted and very reasonably priced. While there is an additional charge for the frame, matting, and shipping we cannot assume resposiblity should your purchase arrives with broken faceglass. 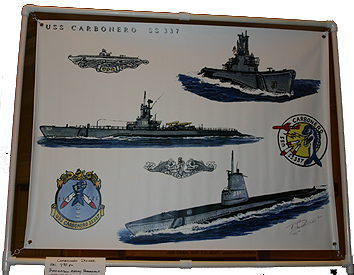 Submarine Art, with the help of UPS and FEDEX will do our utmost, however, to ensure proper, well protected packaging to minimize risk of damage.